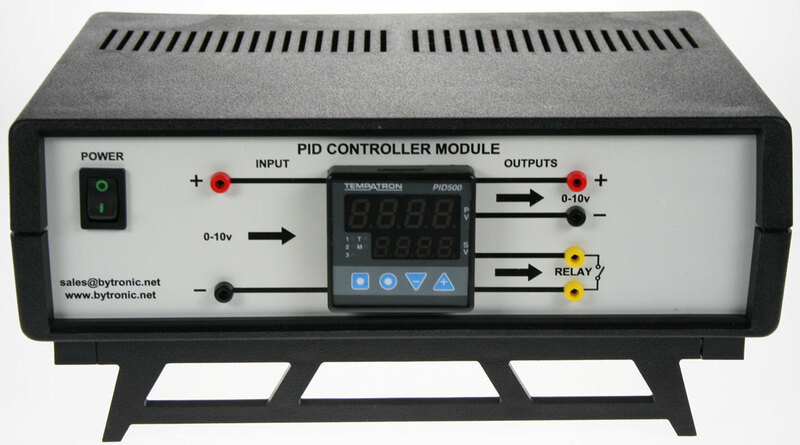 The PID Controller familiarises students with the operation and principles of an industrial controller using different input signals. 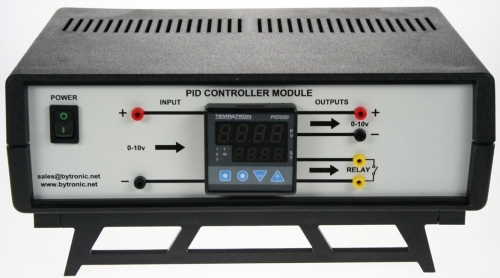 The PID controller is a sophisticated auto-tuning PID controller with selectable thermocouple, RTD, voltage or current inputs and two outputs, relay and voltage output. The controller can be configured as one on/off or PID control and up to two alarm outputs, or as two on/off or PID controls (heat/cool) plus alarm output. It has a large dual four digit LED display to show the set point and the process value.